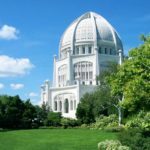 Starting places for studying the Baha'i Faith: introductory books, articles, and magazines. This is a sample of introductory materials on the Bahá'í Faith. See also many more here. For official websites, try bahai.org or bahai.com.